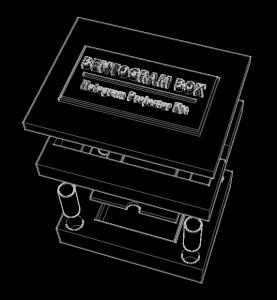 Why I change my original idea about making hologram projector for fun experiment into design a package for hologram projector kit? 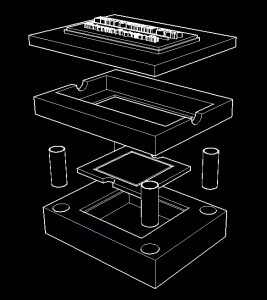 After I had done research about Hologram technique, I found that many DIY tutorials to make pyramid hologram projector for smartphone. It was really easy to make, I could use anything in my house to make it, such as my phone, glue gun and CD Case. 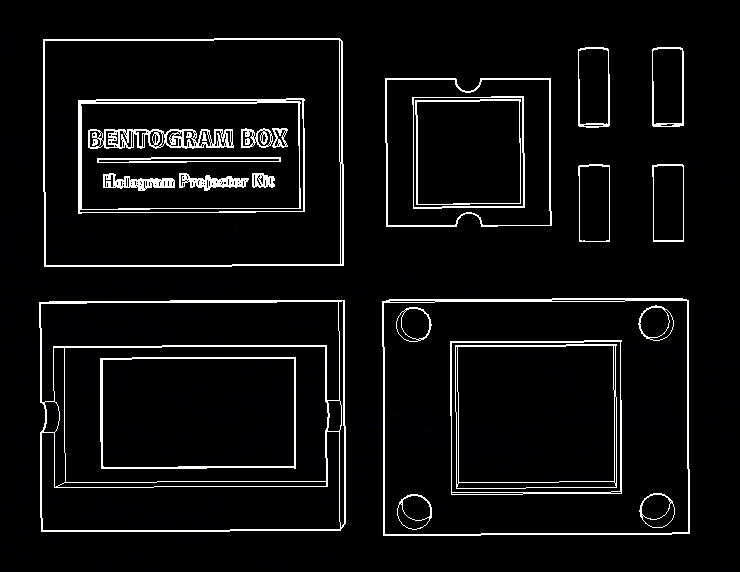 As the same time a crazy idea jumped out of my head, why I don’t make a hologram projector kit which’s including everything they need to build their own hologram projector without go anywhere to buy what they need. 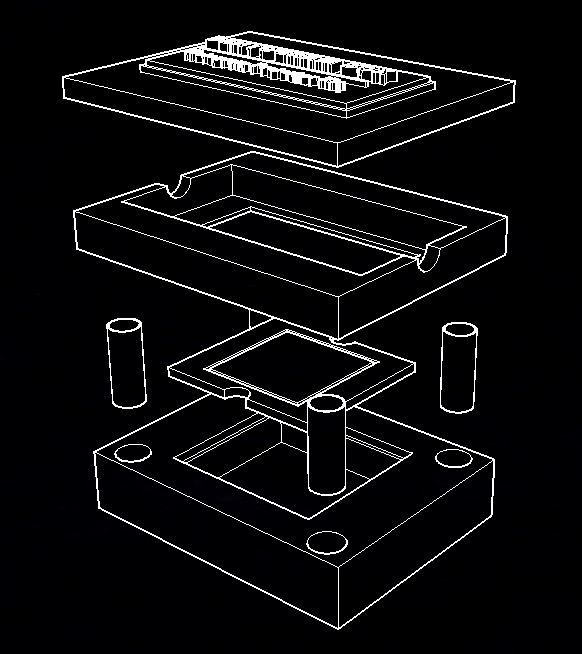 Bento is named of Japanese Lunch Box which is a set of stacking boxes. It’s convenience and good size for people can carry around. 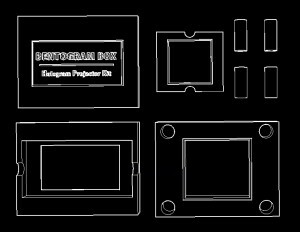 “set of stacking boxes” + “convenience” + “good size” => it’s all features of my hologram projector kit. 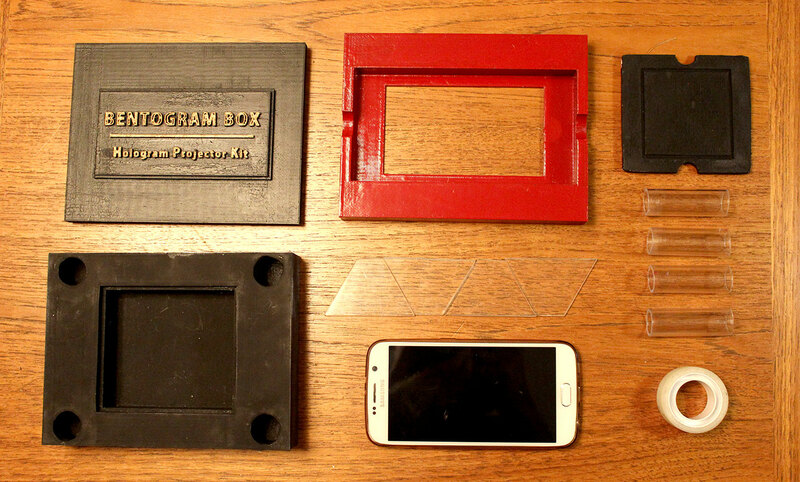 At 1st, I design my kit based on iPad mini but the size’s larger than Makerbot can print. I changed a bit to fix my phone size. It took me 3 days to color it. 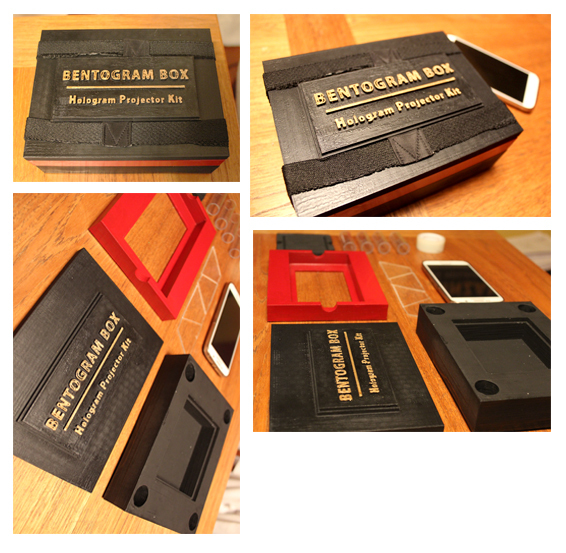 Bentogram Box is a black box and touch of cherry red. Name of product was “colored” by gold leaves. It looks great as I want it to be. However, I’m not really happy when I used it to show my hologram video on. It doesn’t look great as I want it. I think if I had more time, I could make my own hologram video which is I can design specific location as I want it to be on the screen, it will show a lot better than the video already made. Moreover, I will upgrade Bentogram from pyramid hologram to be Z- hologram soon.